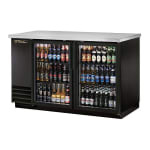 The True TBB-2G-HC-LD two-section bar refrigerator can hold 88 six packs of 12-ounce cans or two half-barrel kegs. 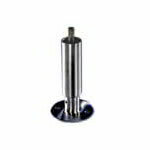 Its stainless steel interior is easy to clean and heavy duty. 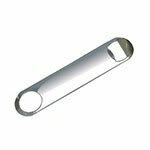 A door threshold protector prevents damage. 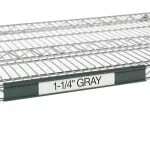 The four shelves are coated in epoxy to add corrosion resistance and are adjustable in 1⁄2-inch increments. The glass doors and LED lights make product visible. 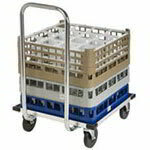 With a stainless steel countertop, this unit can be used as a prep area, check out station, and more. The refrigeration system is accessible by removing the front grill and sliding it out. It has a capillary tube system that uses R290 hydrocarbon refrigerant to keep temperatures between 33 and 38 degrees Fahrenheit. Its black laminate vinyl exterior is durable and blends into virtually any theme. 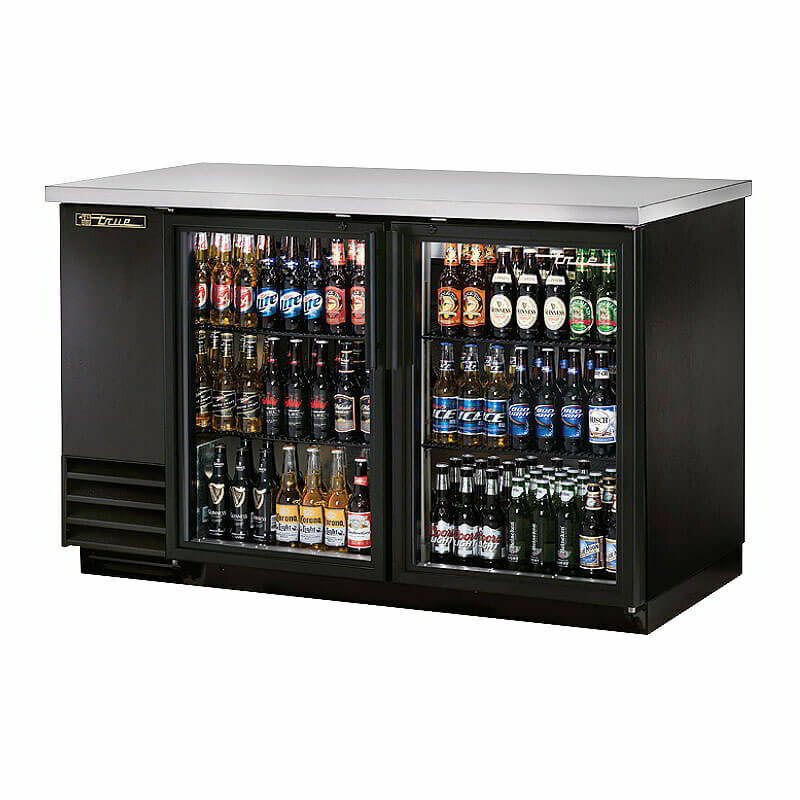 The True TBB-2G-HC-LD two-section back bar cooler has foamed-in-place polyurethane insulation to retain cold air inside the cabinet. 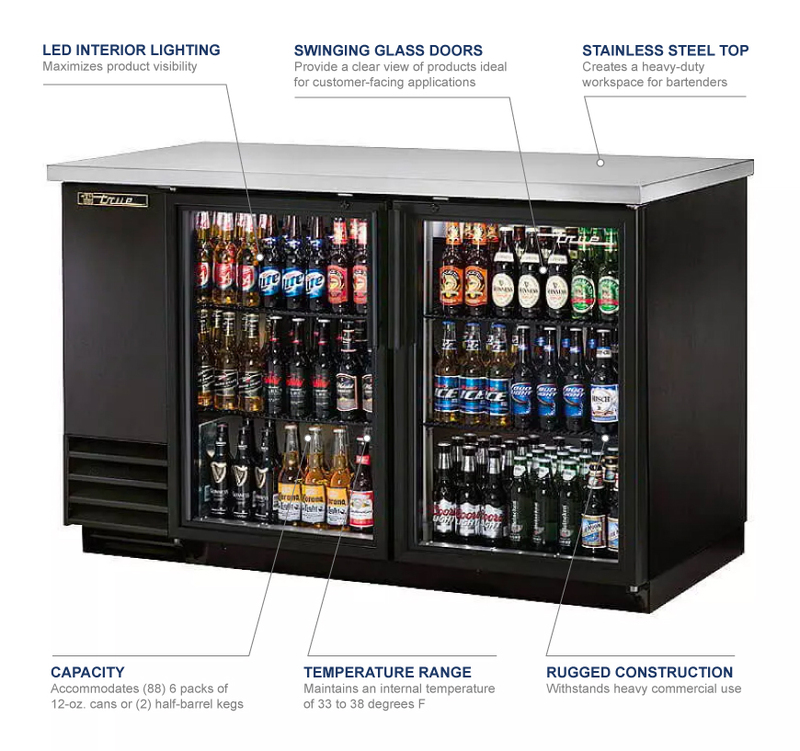 If you're unsure what kind of bar equipment you need, check out the bar refrigeration buyers' guide. "1. Came perfectly packed. 2. Absolutely zero shipping damage 3. USA made and built like it 4. 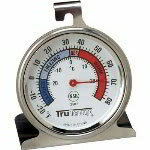 Holding a perfect 33 degrees, my beer is ice cold...."
"1. Came perfectly packed. 2. Absolutely zero shipping damage 3. USA made and built like it 4. Holding a perfect 33 degrees, my beer is ice cold. 5. KaTom was a joy from start to end. Would highly recommend them for any purchase."